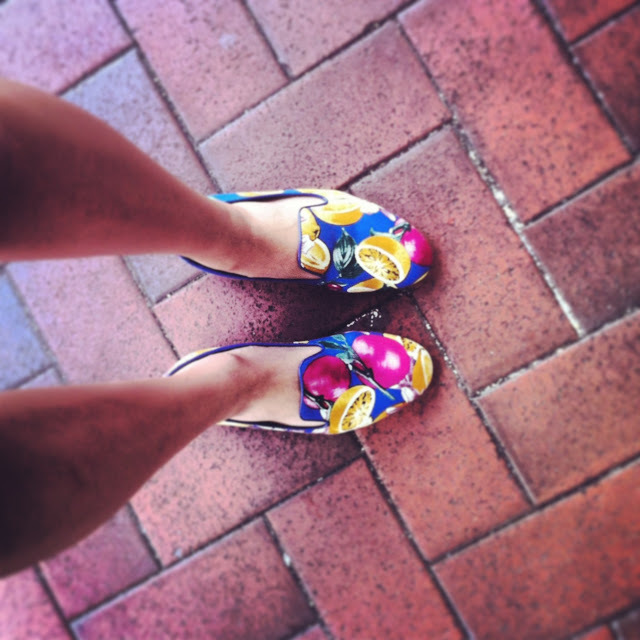 Just purchased these fun fruit/floral printed loafers for the summer. They're like a fruit salad for your feet! Super comfortable, and available from Pedder Red in Hong Kong. What shoes are you wearing this summer?